From episode one the characters pulled us into their gritty world. Dirty dishes piled up and floors were left unswept as we binged our way through hours and hours of dense storyline. We felt more invested in the politics of Westeros than those of real life. A Song of Ice and Fire author George R.R. Martin, the series Game of Thrones was based on. We were shocked at the cavalcade of breasts and the size of Hodor’s … endowment. We came back week after week for the complex characterisation, supercharged by blood and violence. Oberyn Martell never heard his own head explode, but it’s something I'll never forget. How violently were our hearts ripped out when the Night King threw his icy spear right through Viserion and converted him to his army of the dead? The Red Wedding, my god, the Red Wedding. The show, based on the Song of Ice and Fire series by author George R.R. Martin, had a unique ability to lure us into deeply connecting with noble characters who were then torn from us in shocking circumstances, leaving us emotionally impacted for days afterwards. I maintain Ned Stark was always doomed because the most fundamental law of Hollywood physics is that a Sean Bean character must die. But once showmakers took carriage of the storyline from Martin’s books, the richness of characters and their journeys was dented. Yet what show doesn’t have its flaws? There was still plenty of ham on the bone and the series took on a cinematic production quality. The season five episode Hardhome, the first time we properly saw the living battle the dead, was the most breathtaking piece of television I believe has ever been created. As the credits rolled I felt like I’d been punched in the face. Season six and seven were also filled with some of the most spectacular battle scenes ever filmed, but a show cannot live on CGI dragons and muddy fights alone. Who will sit on the iron throne? Who really cares? As long as they’re having fun trying to get to it. 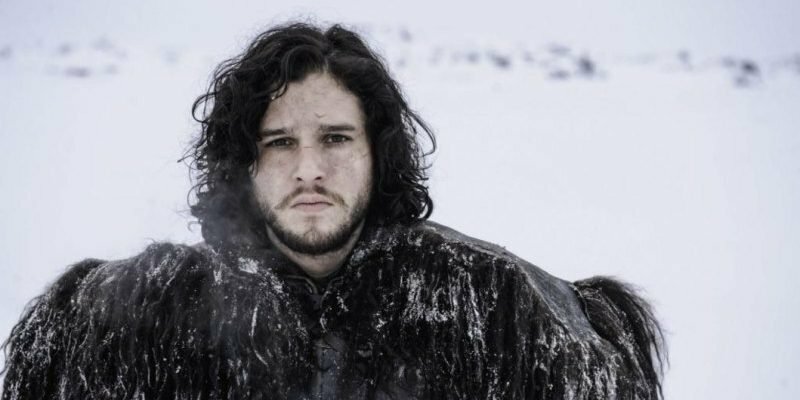 For Game of Thrones to truly earn its spot as a cultural phenomenon creators needed to know when to end it, and by ending it this year they have hit the head on the spike. Producers have a tough task of tying up hundreds of loose ends and doing justice to an impending war between the living and dead that has teased us since the first five minutes of episode one. This will happen though, with another epic battle and more deaths no one will see coming. Ending the show now will neatly round out this decade as the Game of Thrones decade, and hopefully stop "winter is coming" headlines on weather stories in my industry. As hairspray and fluoro is synonymous with the 1980s, so too will society look back at the 2010s and think, ‘Hodor’. Ending now also gives clear air for any spin-offs or new high-production TV shows as we enter the 2020s, to the relief of any other TV network that isn’t HBO. So when you sit down on April 15 to begin the final journey, whether you’re surrounded by friends with Reek-themed cocktail sausages or in complete solitude, away from "who’s that guy again?" questions, give some thanks. Thank the actors, producers, directors, camera operators, CGI guys, sound team, van drivers, even the coffee-buying interns for nine years of captivating us with creative genius. Thank them for retiring the show gracefully rather than letting it rot into the TV equivalent of a 1000-year-old wight: soulless and stinky. And just like the North, remember. Valar Morghulis. All shows must die.